Looking back at STAR TREK: THE ANIMATED SERIES | Warped Factor - Words in the Key of Geek. In this weeks Star Trek column Geek Dave looks back at Star Trek: The Animated Series. Their 5 year voyage may have been cut short by 2 years when the original series was cancelled in 1969 but success in US syndication meant that more Star Trek was ordered, albeit in an animated form. 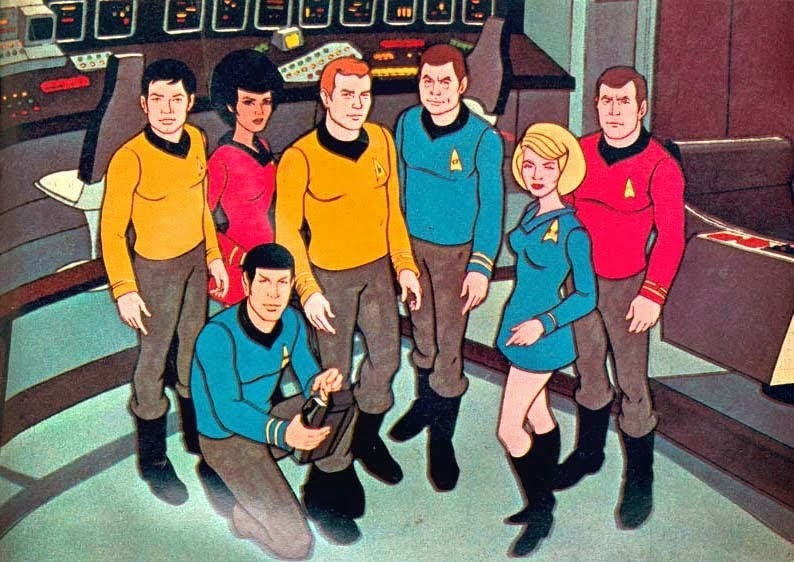 So in 1972 Star Trek: The Animated Series began with the broadcast of the first of it's 22 episodes. Produced by Filmation and Paramount Television, The Animated Adventures of Gene Roddenberry's Star Trek (as it was heralded by BBC1 back then) was my first introduction to the world of Star Trek. In fact I clearly remember being quite shocked to discover an actual real version of the cartoon on TV one night. All the original actors voiced their respective characters, except Walter Koenig. Chekov was replaced by a new female character and occasionally by an alien with 3 arms and 3 legs. Koenig did end up writing one of the episodes, The Infinite Vulcan, making him the first Star Trek cast member to contribute a script to any series. Although animation can often be looked down upon, Star Trek: TAS was actually a pretty decent series with lots of references to the original show. Credit for that has to lie with Gene Roddenberry. Filmation wanted to produce a Star Trek show where all the main cast had a young cadet version of themselves assigned to them, to appeal to the children watching. So Spock would've ended up with a young Vulcan tailing him, and being logical! Despite being offered large sums of cash to relinquish creative control Roddenberry stood firm and refused this "kiddy space cadet" idea. 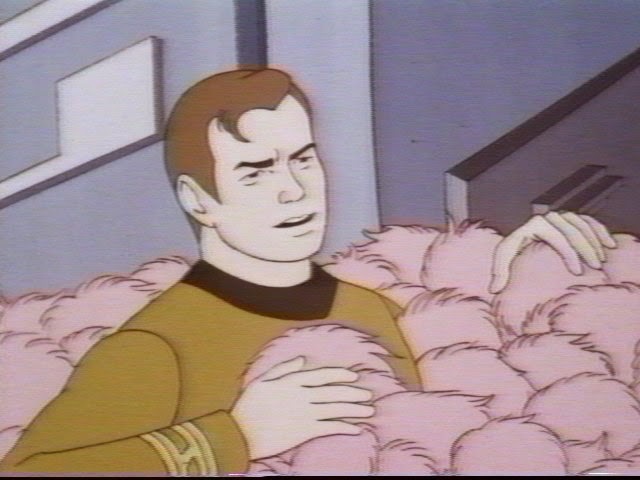 There are many notable episodes of Star Trek: TAS but probably the most famous one is More Tribbles More Troubles. Written by David Gerrold as a sequel to his Star Trek: TOS episode The Trouble With Tribbles. Star Trek: TAS also provided many influences on future Trek shows and movies. Amongst them would be the first appearance of the Holodeck, 15 years before it was common place on Star Trek: TNG, plus the 2009 JJ Abrams reboot features a nearly identical recreation of a scene from the TAS episode Yesteryear, in which young Spock is confronted by several other Vulcan children who are bullying and teasing him for being part human. Whilst it may not be regarded as canon, Star Trek: The Animated Series is a whole lot of fun. It certainly has the traditional feel of a Star Trek show, and the 23 minute long episodes easily hold your attention and keep you entertained throughout. For an animated spin-off, it's one of the very best.